This outstanding cooler holds up to 20 cans plus ice. 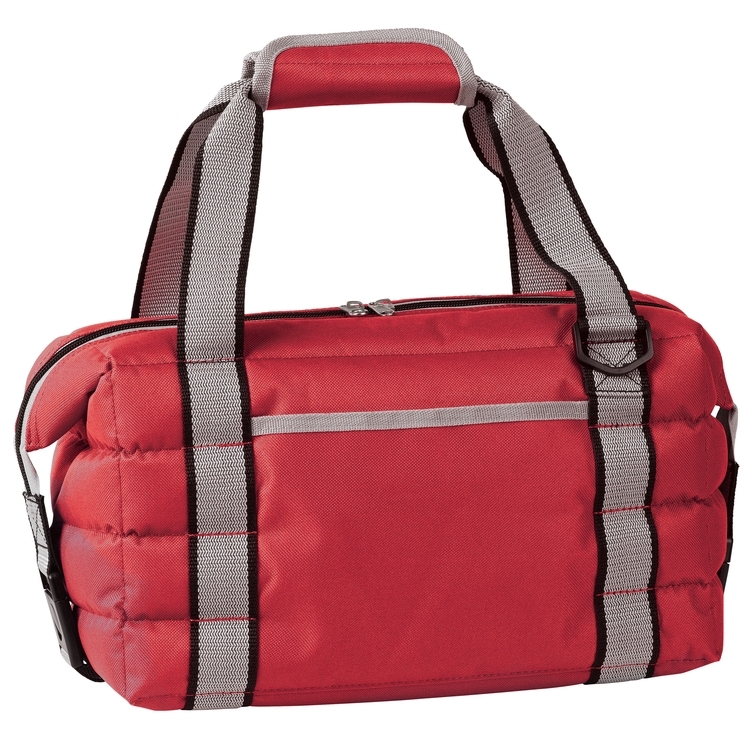 The easy opening top flap allows for quick access to the main compartment. The extra top storage compartment is perfect for dry snacks and the large gusseted front pocket is ideal for additional storage. 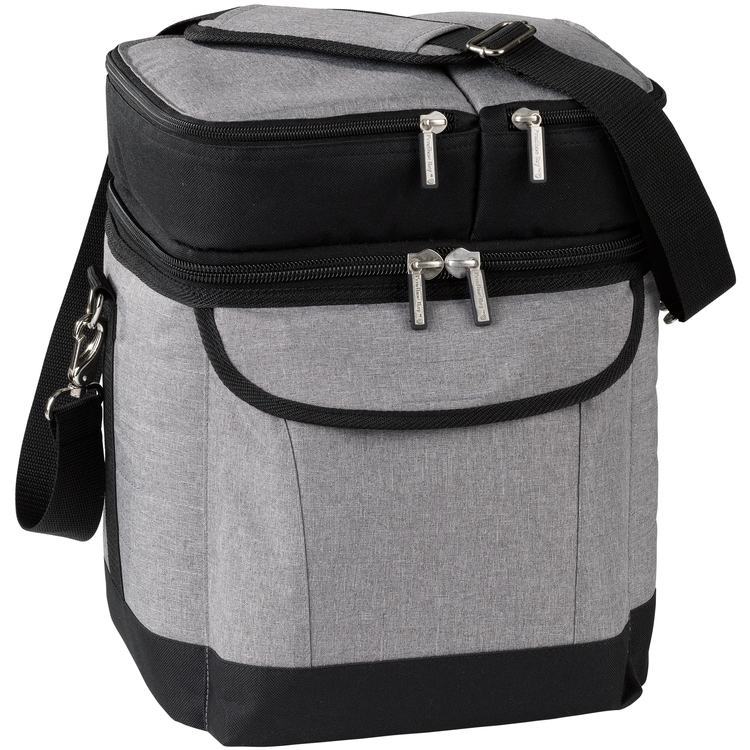 The shoulder strap makes carrying your cooler easy and comfortable. Automatic, one piece pop up design, fully assembled frame with cover, polyester, carry case with wheels. 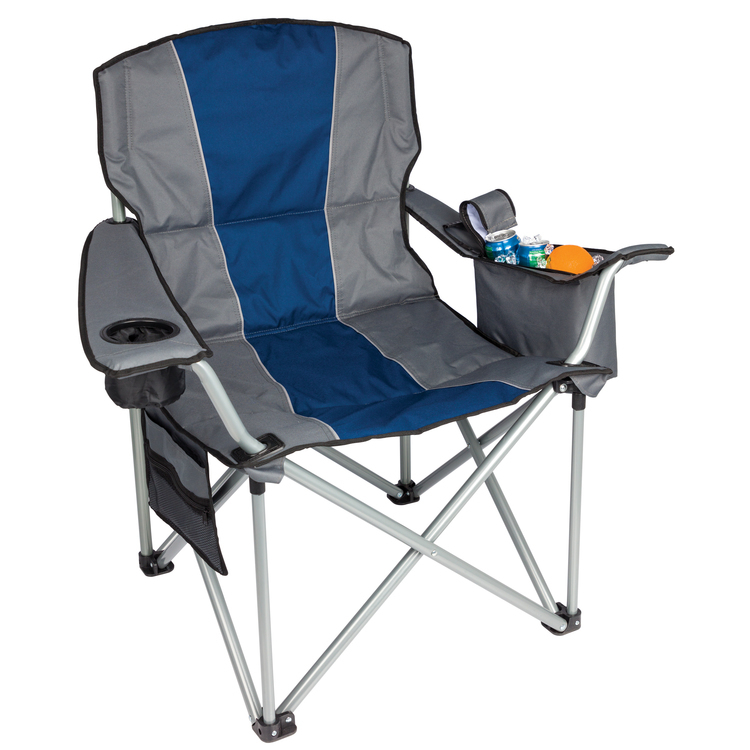 Stay comfortable while on the camp ground or the side lines with the help of this billboard lounger! This is our best-selling chair, providing the largest imprint area in the industry! It can hold up to 300 lbs. and comes with dual cup holders. 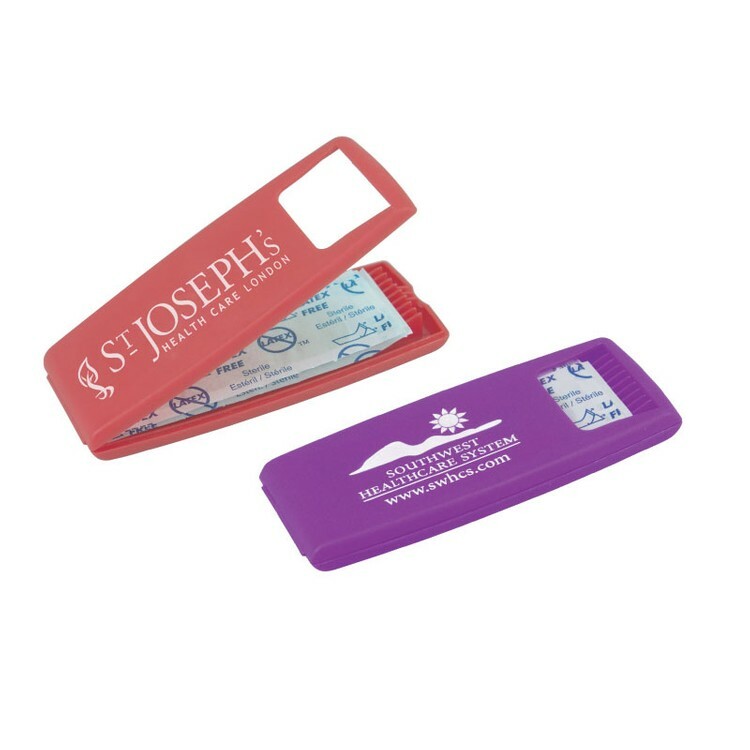 Enjoy the two sided back and color options that make it stand out against others. 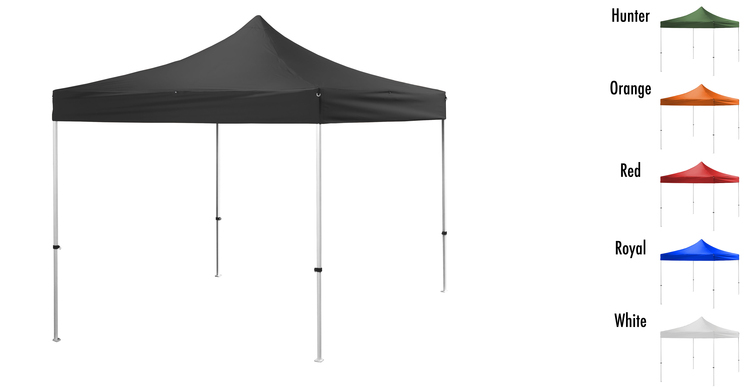 It it perfect for tailgates and outdoor events. 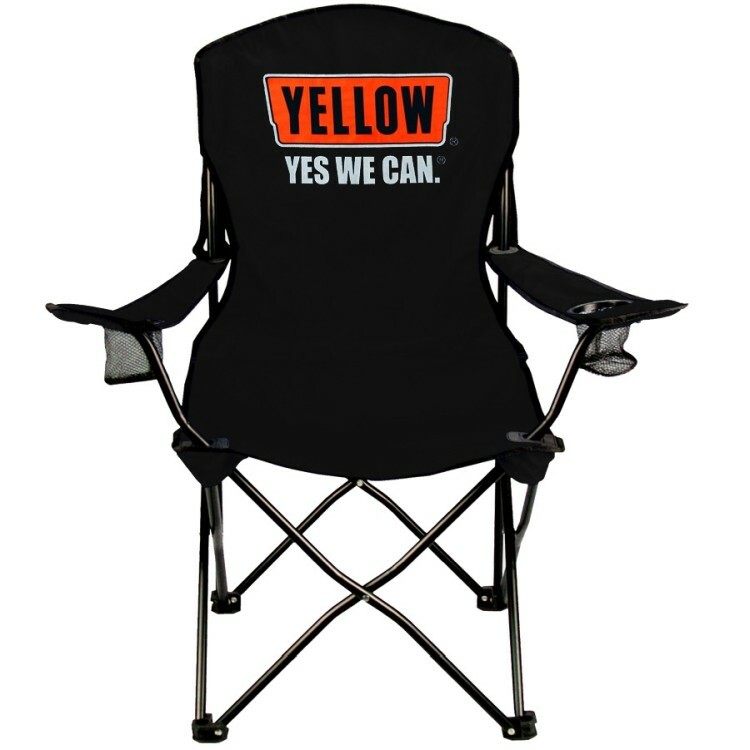 Have this chair customized to spread your brand awareness. A single seater budget beater! Small chairs, tall chairs, padded chairs, large chairs – just when we thought we had them all, we saw the need to add one more. Two cup holders give you an extra pocket for more than just drinks. Imprint on front or back of head rest. 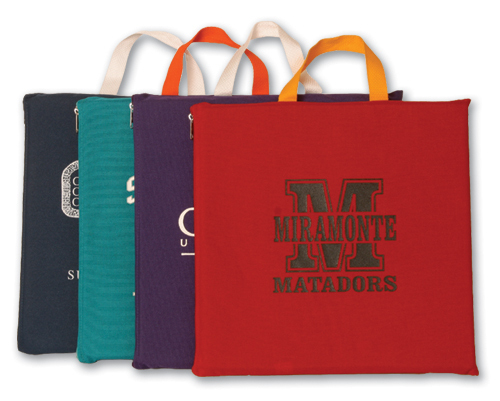 600D poly with matching color 210D poly carry bag. 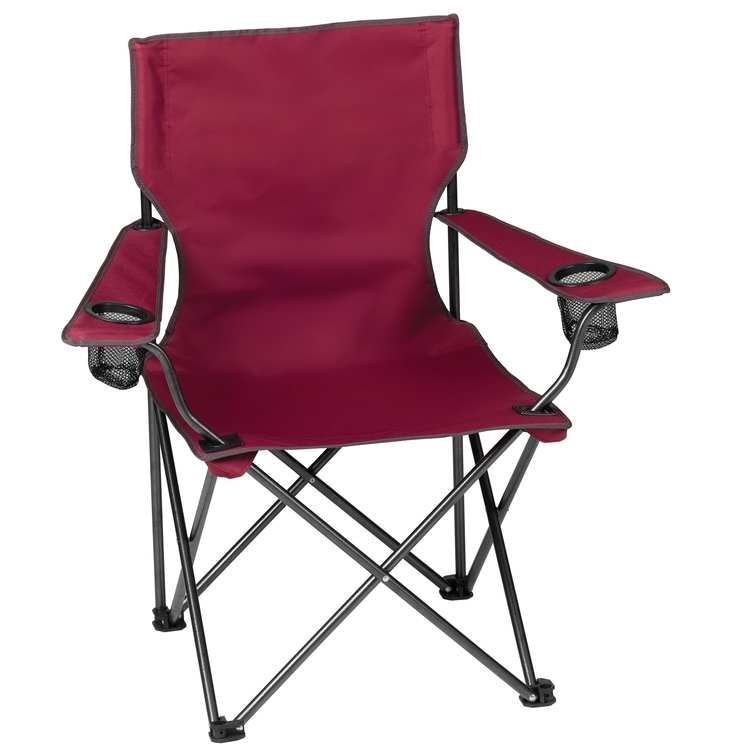 The Top Dog Camp Chair has always earned its name with comfortable quality fabric and now features color accented bindings and a great looking hammer tone steel frame with a tag rating of 350lb! As always, the full-length back pocket is there to hold everything that you want to take with you. The Big UN was designed with comfort in mind with its extra wide seat design and cushioned headrest and seat. The Big Un' has a 400lb. 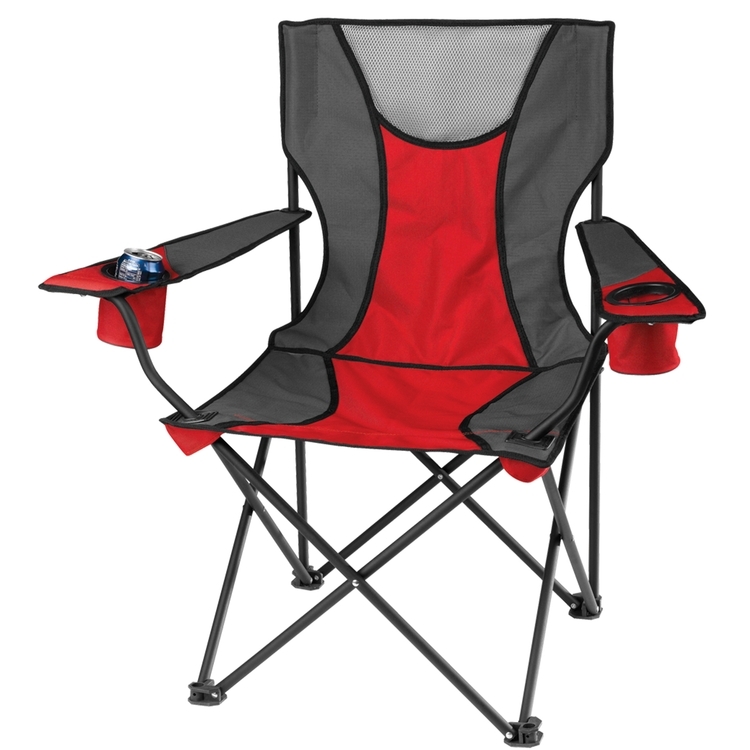 tag rating, full-length back pocket, mesh armrest pocket, and cup holder. 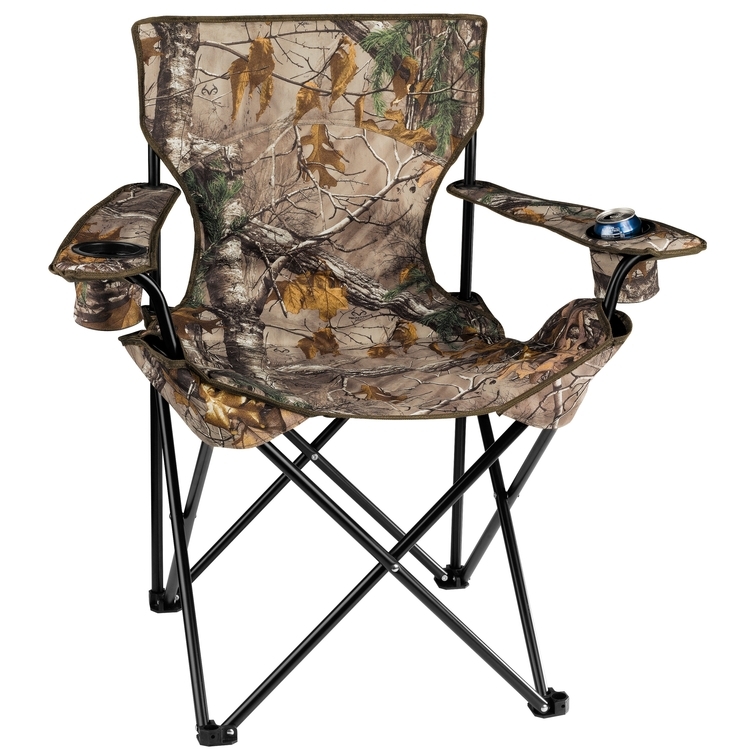 Have a cold drink at hand at the campsite, BBQ or picnic with an XL Cooler Camo Chair. 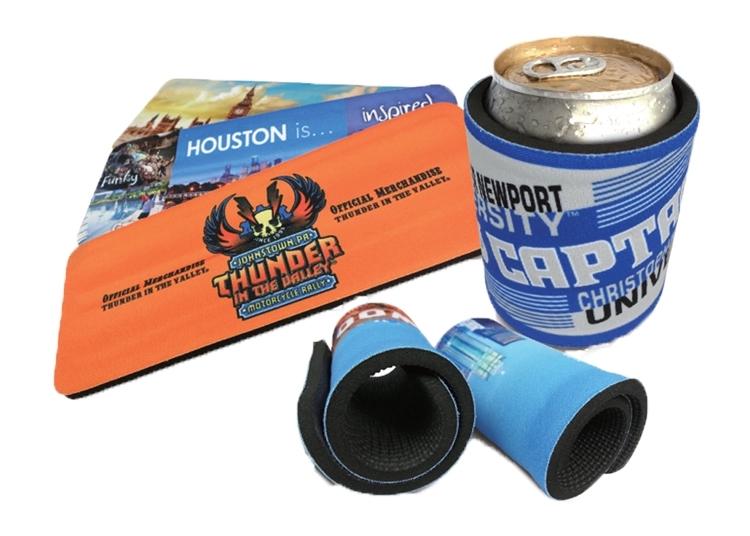 The cooler built into the armrest holds up to 6 cans and provides easy access to a cold drink once the one in your cup holder is empty. While you sip on your favorite beverage, the fully cushioned seat and back only adds to your relaxation. When the fun is done, the chair easily folds up into a carry bag for easy transport and storage. 22 oz. Plastic Travel or Desk Thermo Insulated Mug Made in the USA BPA Free Matte Finish Double-wall insulated mug with Ribbed Thumb Grip One piece drink thru lid Stylish Comfort Grip Handle Lids are assembled for FREE Imprint Area: 2.59" W x 3" H per Side; Wrap Imprint: 8.66" W x 3" H One Color, One or Two Location Imprint Wrap also available Unless specified, orders will be set-up as a one-sided imprint for right-handed use Must indicate lid color when placing order Mug Colors: Black, Granite, White, Harvest Green, Blue 299, Green 363, Cool Red 226, Purple 2603, Reflex Blue, Lime, Burnt Orange 158, Flat Sunset Red, Cool Grey/Pearl, Pink/Pearl Lid Colors: Black, White, Pearl, Red, Blue, Granite Stock Imprint Colors: Athletic Gold 123, Black, White, Cream PMS 1345, Cool Grey 10, Grey 430, Grey 431, Yellow/Gold 123, Yellow 124, Orange 021, Orange 165, Orange 166, Red 186, Maroon 202, Burgundy 208, Process Blue, Reflex Blue, Royal Blue 286, Dark Blue 282, Dark Blue 289, Green 348, Emerald Green 354, Kelly Green 347, Dark Green 343, Dark Green 357, Teal 320, Teal 327, Dark Teal 316, Sand 7527, Brown 469, Brown 476, Brown 478, Gold 116, Metallic Gold 871, Gold 872, Silver 877, Cooper 876, Pink 205, Pink 230, Purple 259, Purple 2592, Purple 268 Production Time: 5-7 Working Days from Proof Approval Rush Production Available Setup Charge: $45.00 (v) per Color Run Charge: $0.35 (v) Each Additional Imprint Color 2 Colors Max - Both Sides PMS Color Match: $45.00 (v) per Match FOB: IN 46176 16 lbs / 24 pcs 18" x 14" x 14" Ships via dimensional weight. Actual weight is 11 lbs. 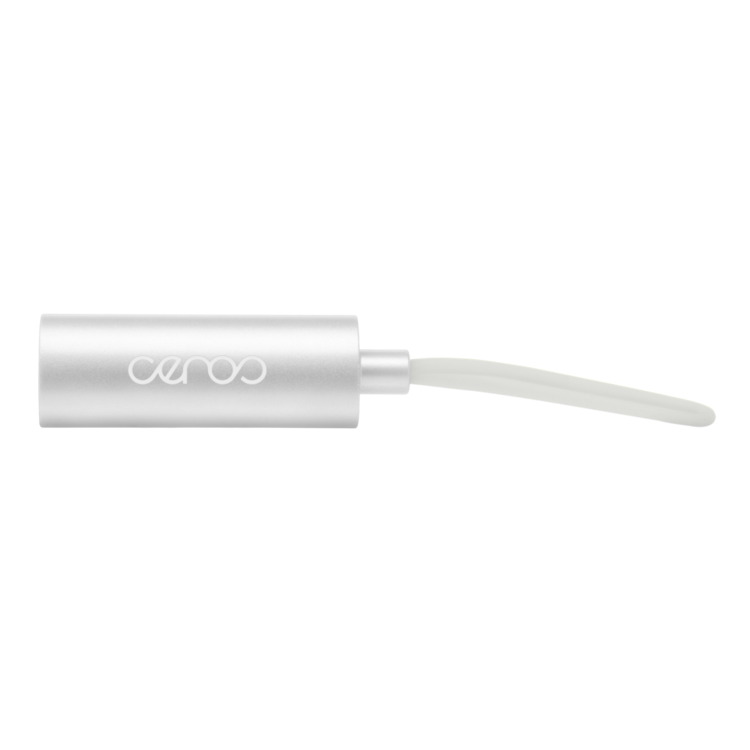 Stay hydrated while on the go with this wave collapsible water bottle. 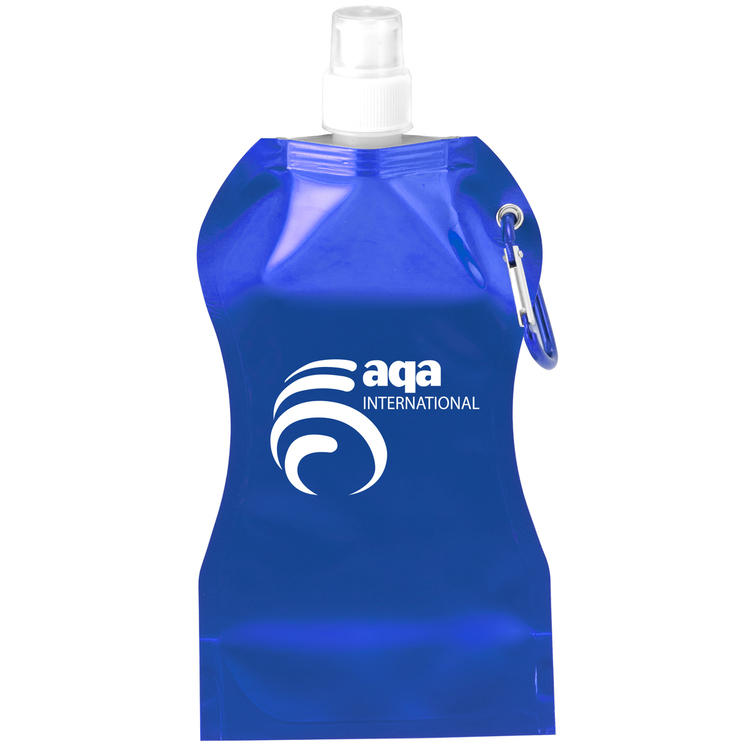 Made with convenience and portability in mind, this water bottle lays flat to conserve space, simply fold, pack and go. This 16.9 oz. 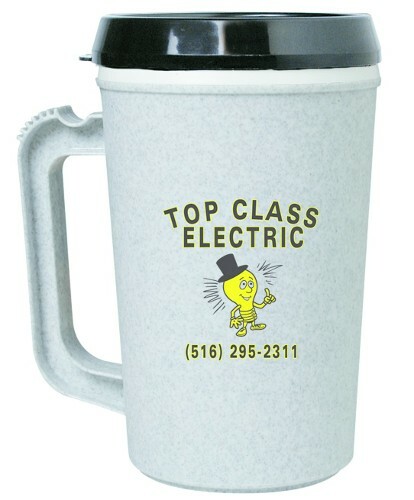 container comes with the option of direct print or full-color decal imprinting. 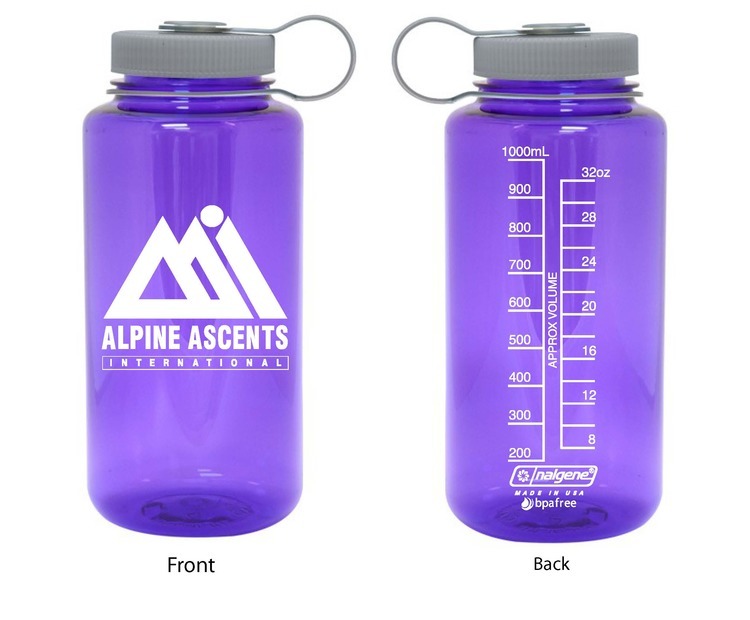 This water bottle will easily fit or clip with a carabiner to a pocket or belt loop. 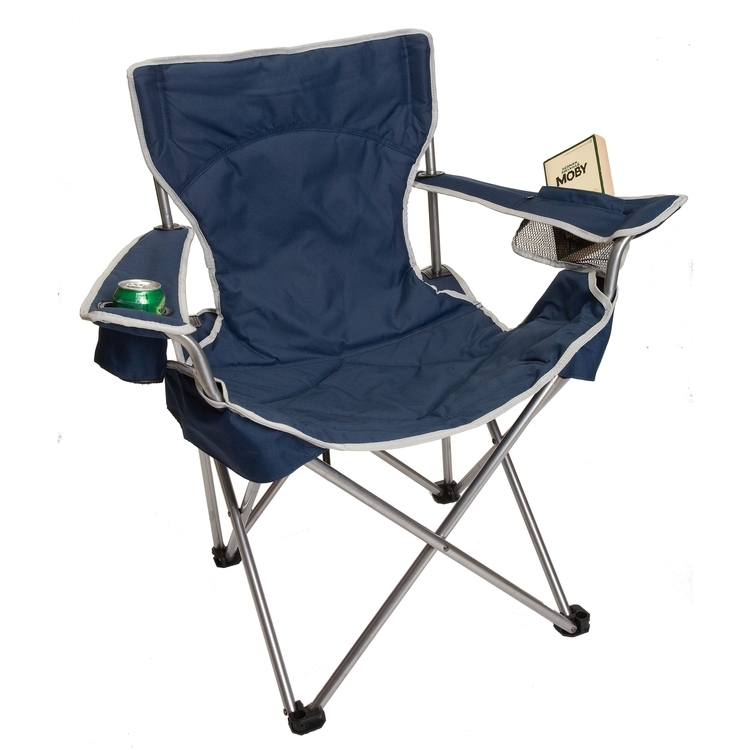 The Signature Camp Chair is built to last with our Rip-stop polyester & 600D fabric. 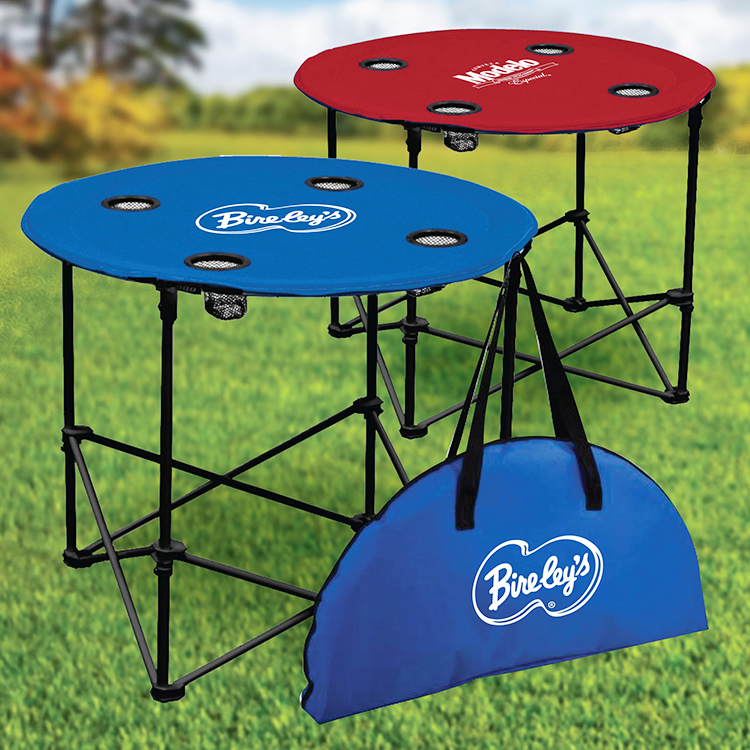 Built with two-tone, hourglass color accents durable matte black powder coated steel frame, and two cup holders. 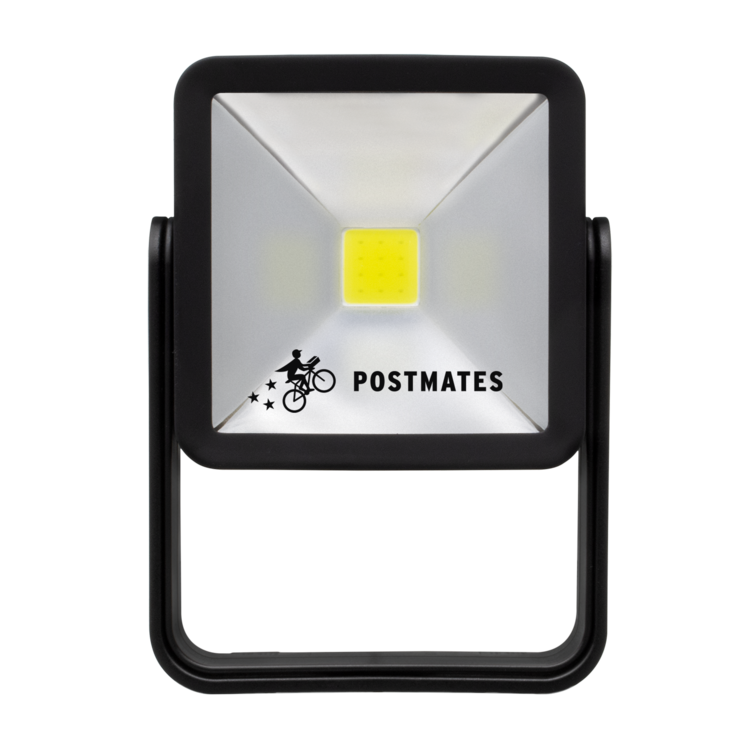 It is ideal for the beach, ballpark, picnic, concert, vacation, or party. 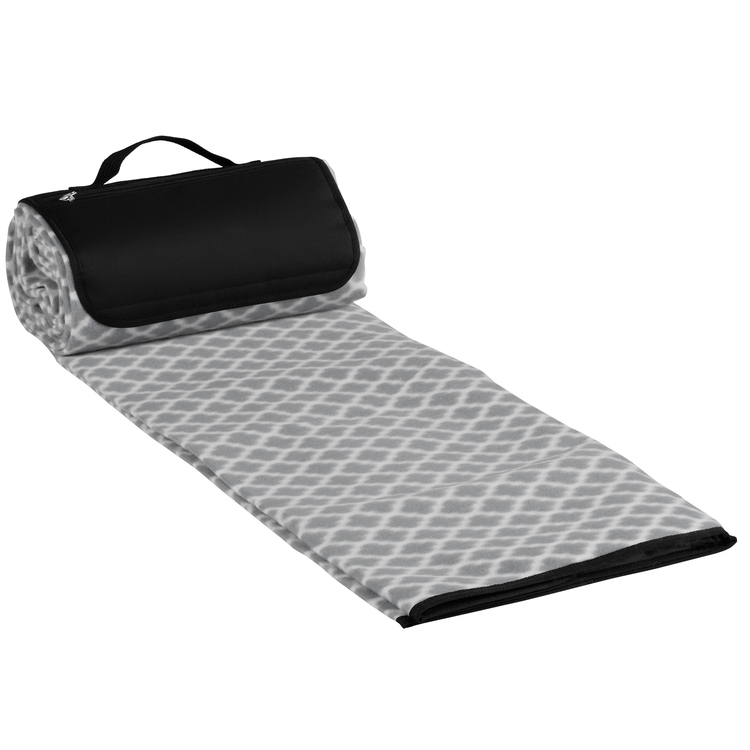 Whether you are going to a game, beach, park, or concert our Picnic Blanket family is perfect for any occasion. 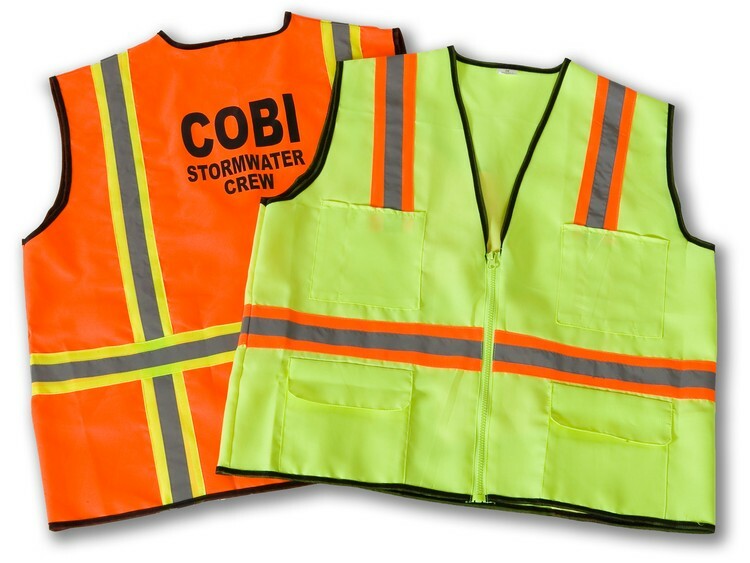 The PNBK protects from moisture with its water resistant backing and is easily toted by rolling up and carrying with the zipper pocket flap and handle. 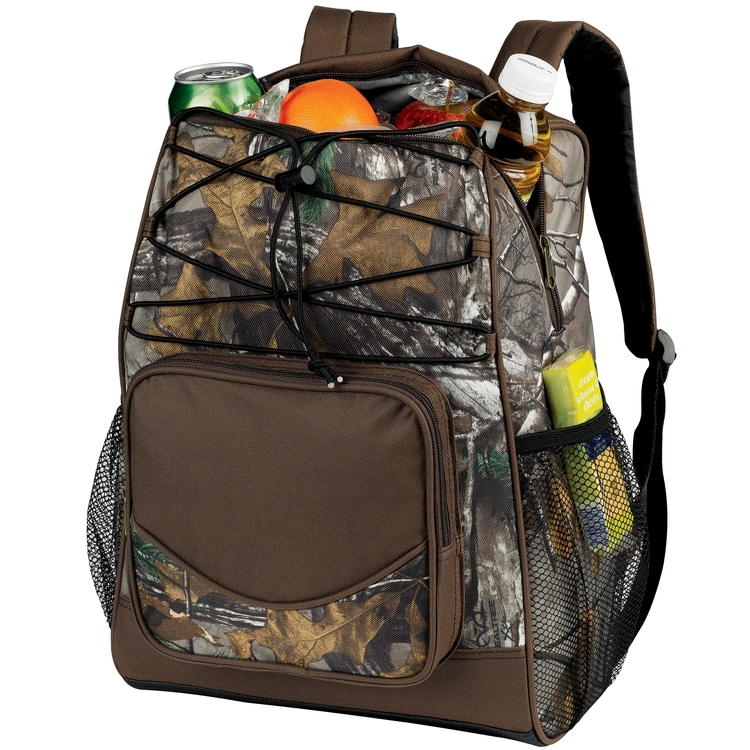 Our Realtree XTRA® Camouflage Backpack Cooler made of tough 600 Denier Polyester holds 20 cans plus ice and has a double heat sealed no-leak liner, PEVA lead-free cooler liner. 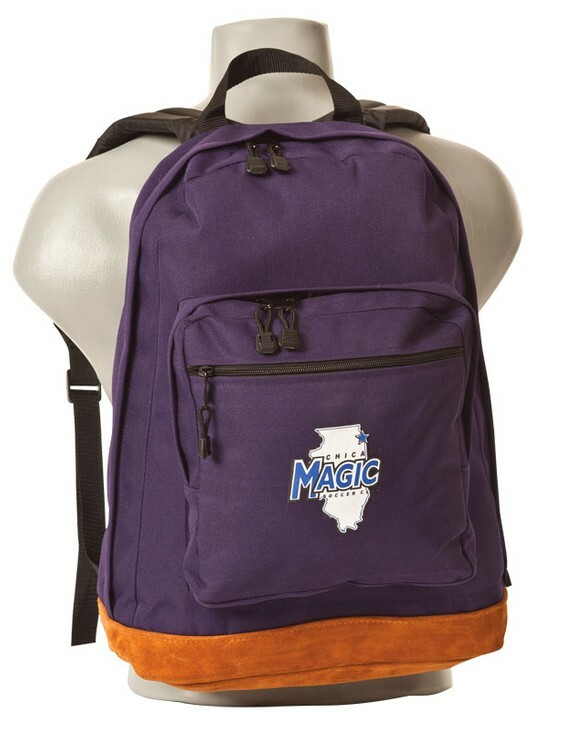 It features include 2 mesh side pockets, a large front gusset pocket, padded backpack straps, and a top zipper for easy access. Also available in even more colors! Search CLBP to check them all out! 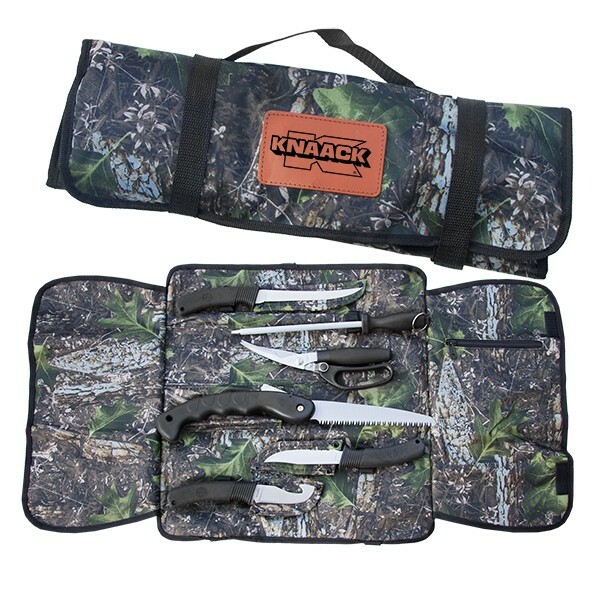 Steel: 440 Stainless Handles: Black Non-Slip Rubber Fillet Knife: 6.25" Blade, 11.375" Overall Sharpening Rod: 11.5" Overall Game Shears: 4.5" Blade, 9.5" Overall Folding Bone/Tree Saw: 7.5" Blade, 17" Open, 9.5" Closed Drop Point Knife: 4.25" Blade, 9.5 Overall Gut Hook: 3.5" Blade, 8.5" Overall Includes: Latex Gloves Inside Zipper Pocket Case: Camo Nylon Soft Roll with Velcro Straps Uses include: hunting, tournaments, recognition, gifts, natural disasters, environment or eco tourism, hiking, outdoors, travel, custom products, charity events, outdoor events and branded gifts for outdoor enthusiast. 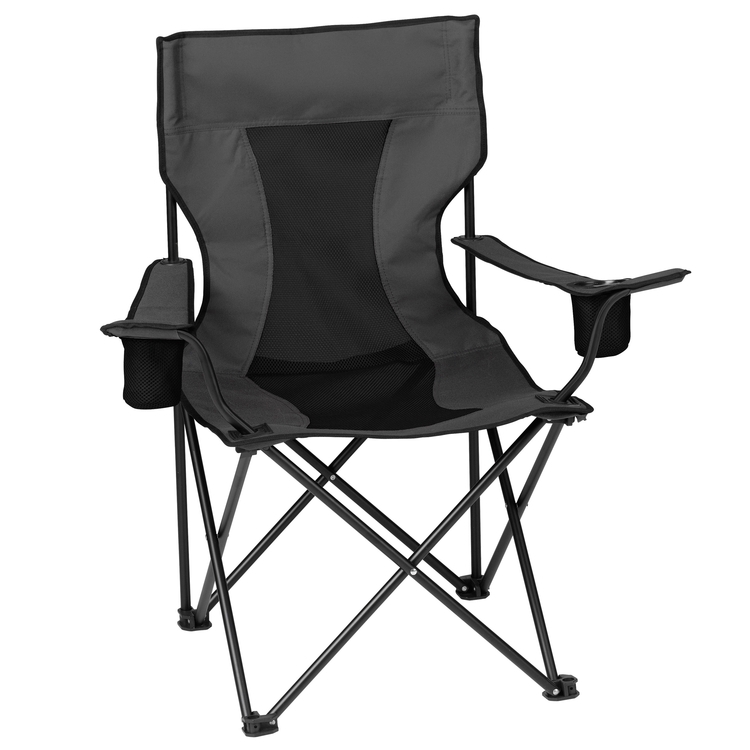 The Mesh Camp Chair brings you outstanding comfort and breathability. With comfort in mind, the 600D Poly Mesh offers superior air flow. The MECH is not just comfortable. With a tag rating of 350lb, it's strong! Includes a tough 600D carry and built-in back pocket. With the RealTree® Edge® camo pattern and wide seat design, the Big UN' is up for anywhere you are willing to take it. 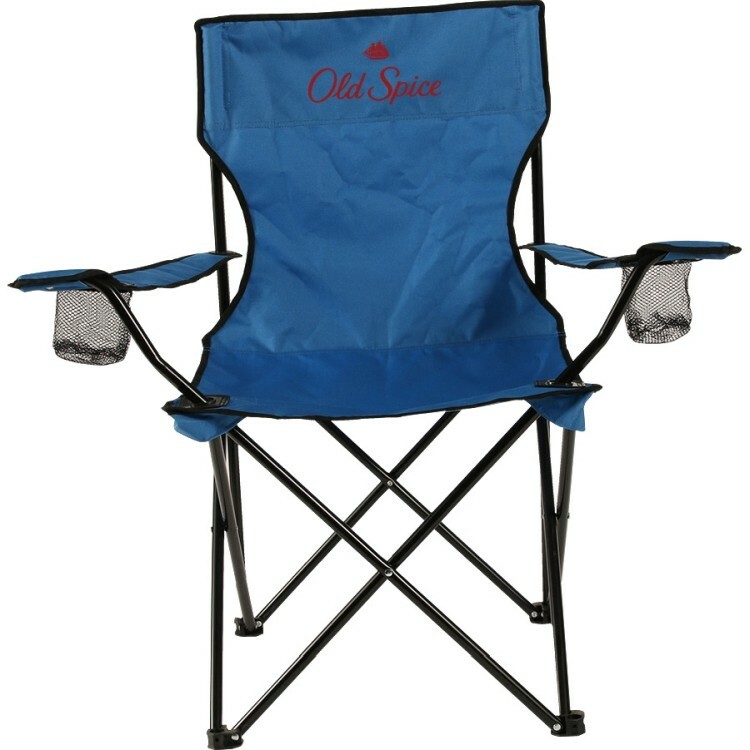 Side winged supports heavy duty steel frame with two built-in cup holders, heavily padded seat and back, and tag rated for up to 400lb. Also comes with a durable bag to transport it in. 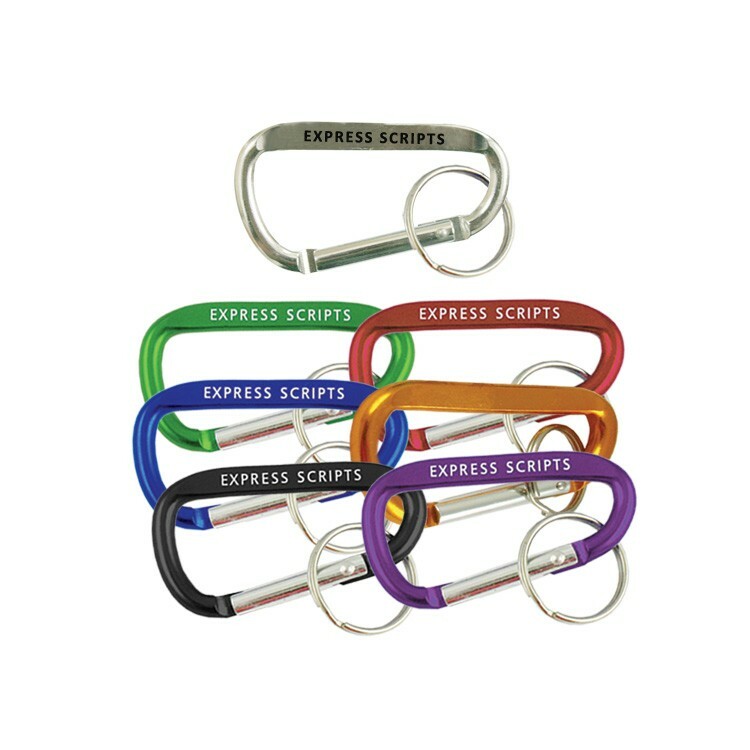 Made of aluminum metal carabiner with key ring. 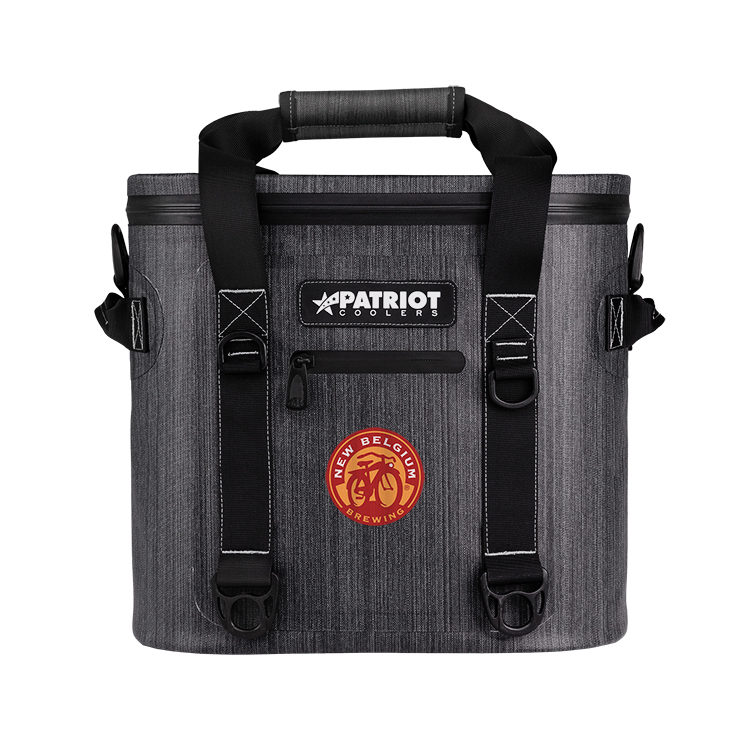 This Large Vertical Can Cooler holds 12-16 cans and is great for school field trips or fishing trips! 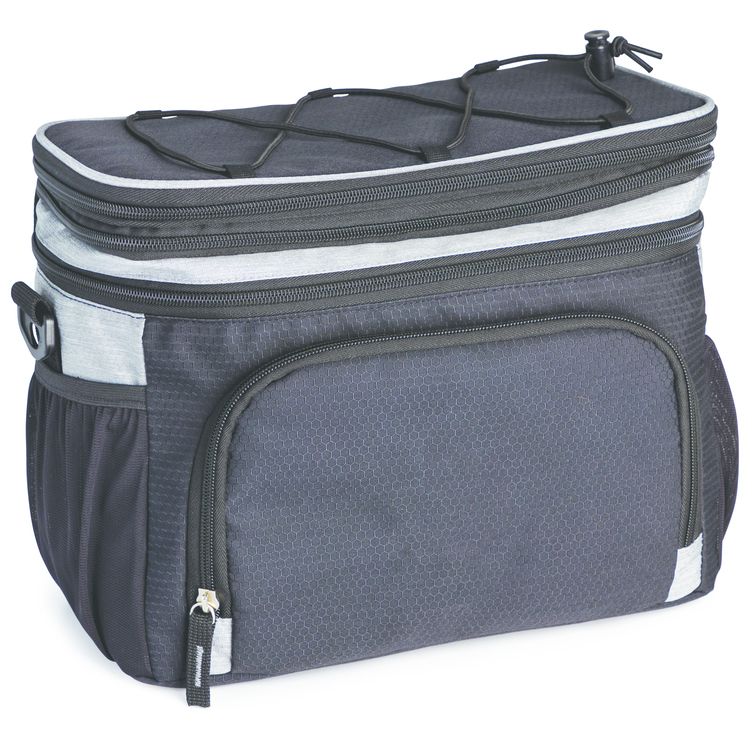 This insulated large vertical cooler has a front zipper pocket for your keys or phone and a 21'' to 40'' adjustable shoulder strap for convenient carrying. 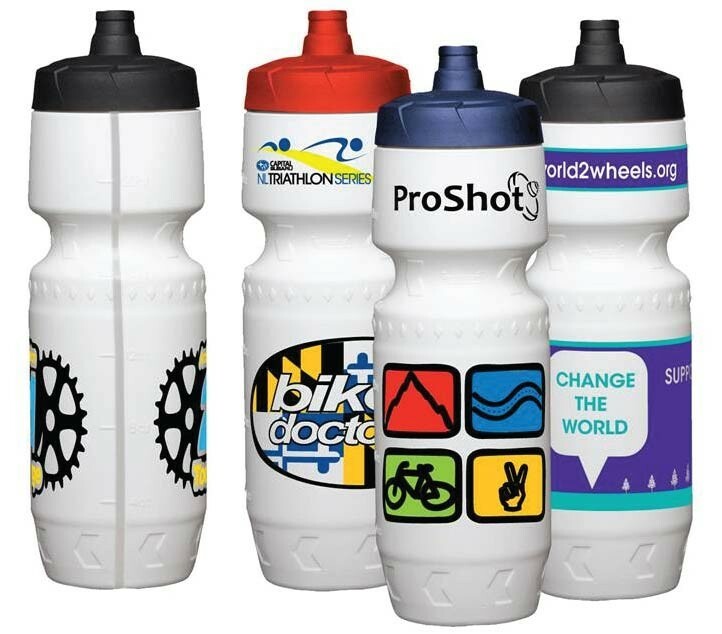 This cooler holds tall sports bottles too! 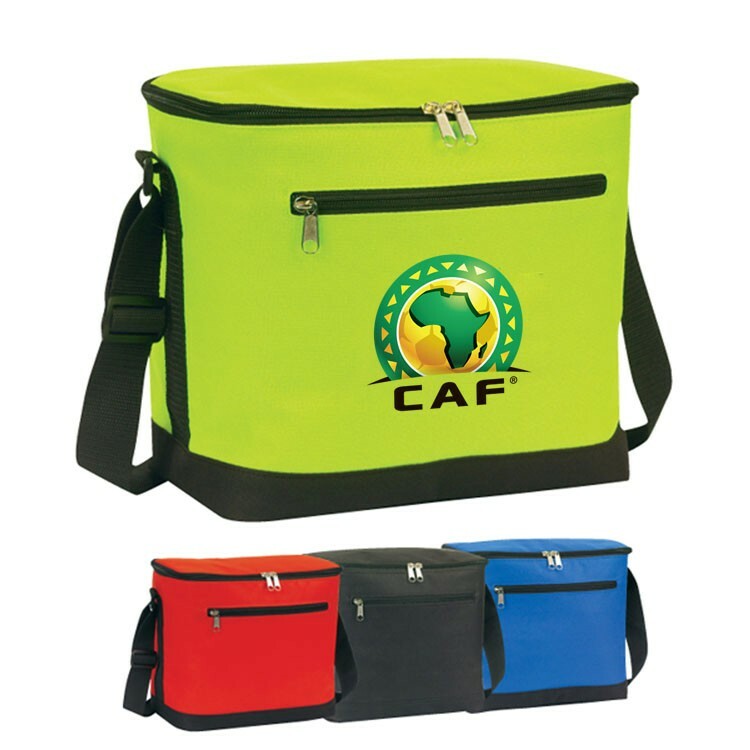 Made of 600 denier, this sturdy cooler comes in a variety of colors and imprinting options so you can create a one of a kind promotion.